What do you think of when you think of a bean bag chair? You probably think of that fun place you might have played video games or taken a nap when you were younger. Well, bean bags aren’t just for your kids. They’re for anyone that wants to feel comfy. A bean bag can make a great addition to any home. From large bean bag chairs for adults to bean bag couches, there’s a bean bag for anyone and everyone. But which bean bag style is right for you? You might not be able to get a bean bag as massive as this one that debuted during London Fashion Week. But you can get one that’s good quality, great for your living situation, and will last you through the years. You have to look for a few things first. It’s not hard to go into a department store and get a beanbag for around fifty bucks. But if this is the decision you decide to make, know that you will not be getting a quality product. From the material used on the outer layer of the chair to the filling to the stitching, sacrificing quality for the price could lead to more trouble in the end. If your beanbag splits open in a matter of a few months, you’ll have to buy another one to replace it and will end up spending more than you would have to get a product that lasts. When you’re looking for something that’s well made, you’re looking for something that’s going to last. If the beanbag is made of upholstery fabric, then it will stand the test of time. The same goes for furniture grade fabric. Avoid cheap fabrics, because they’re more easily susceptible to wear and tear. Choosing a fabric that’s stain resistant will also help increase the longevity of your bag. No matter how durable your beanbag is, there will come the point when you want to wash it. Some bags come with removable covers that you can easily clean and it won’t cause them damage. Others, like vinyl, are waterproof and safe to clean now and then. If you’re looking at a beanbag that you don’t think could stand up to a run through the washer or some other cleaning method, you’re probably looking at one that won’t stick around for the long term. Still, spot cleaning can only last so long. After years of sitting on the bag, you’re likely going to want to get rid of the chair if you can’t wash it. How to clean the fabric is a point to keep in mind when considering what kind of material you want and what price point you’re considering. The filling type of your beanbag is an important decision to make when choosing which one to purchase. If the bean bag tears for whatever reason, stuffing could come loose. Bead bean filling or polystyrene beads could pose a safety hazard, especially if you have kids in your home. For alternatives, look for bean bags filled with recyclable materials or wood shavings. If you’ve chosen a vinyl bag for the type of material, make sure that you use vinyl that’s lead-free. You can look for eco-friendly foam that’s good for the environment. Also, make sure that the filling you’re choosing is non-carcinogenic so that you can feel good about bringing into your home. One of the right tests of whether or not a bean bag is of good quality is whether or not it’s comfortable to sit on. Cheap materials and cheap filling will not feel as good as a beanbag that has good quality filling and material. It will be evident that beanbag was not made with care if you sit on it and you don’t feel as comfortable as you should. The most important thing, after all, is whether the beanbag feels nice when you sit in it. If you’re using it in a gaming room, make sure that sitting in an upright position is comfortable and that the beanbag is quality enough where it will retain its shape. On the other hand, if you’re using it in a lounging area, the bag should be comfortable and soft. For whatever room you’re using it, it should be an asset and not a hassle. You will be able to determine the quality of the bean bag you’re getting from assessing how it’s constructed. If it’s you’re looking online, you can request to see swatch samples before you buy, so you can check that the material that you’re buying is durable. The stitching on the bag is also another way to determine the quality. Tight, even stitches are a sign of excellent craftsmanship. If you see anything that’s uneven or loose, then you should ditch that option. Many chairs actually come with warranties. That means that the manufacturer is behind the quality of their chair, so they don’t have to spend money to keep replacing chairs that break. You’ll know the quality of your bag as it correlates to the warranty. Some bean bags have none, some have one year, three years – some come with a lifetime guarantee. The better the warranty, the better the quality of beanbag you can rest assured you’re getting. But beware of unrealistic warranties; how long is a lifetime? Now that you know all the factors that you should be thinking about when it comes to bean bag chairs, you’re ready to make your decision. 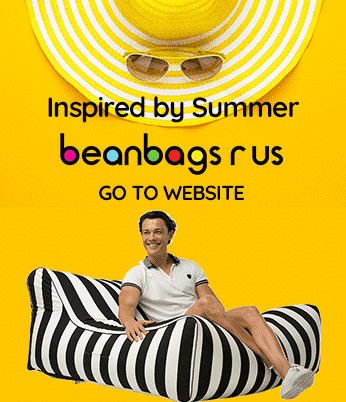 Bean Bags R Us makes it easy for you. All the bean bag chairs are together in one place, and the quality is guaranteed. You can’t go wrong with whatever beanbag you choose, because they’ve been proven to last. Choosing the best product for you may not be an easy decision. It’s best to go with a brand you know you can trust to keep the guesswork out of the process.